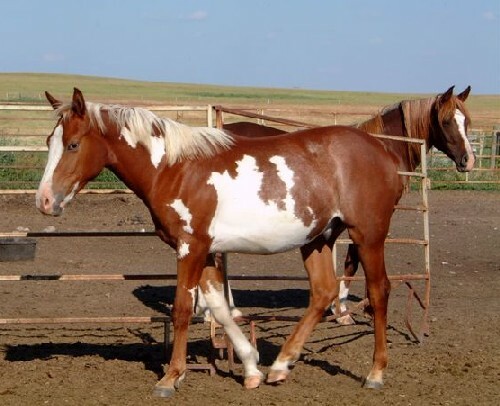 Coy is a half arab chestnut overo gelding and the son of SS Hympressive Coy (see previous photo). His dam (in the background) is a purebred Crabbet Arabian. Thanks to Shirley and Eric Brand of Alberta, Canada for sharing these photos of their lovely stallion with us.